Beacon Children’s Hospital and Memorial Community Health Enhancement are committed to improving children’s health in the communities we serve, and to accomplish that we need your help. As parents and guardians, you have valuable knowledge and options about the health of children living in our region. 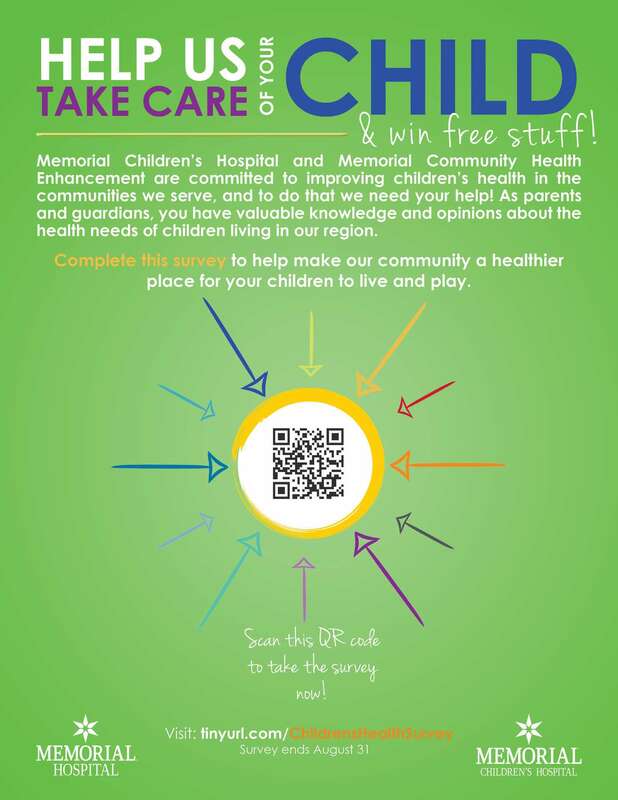 Please complete this survey to help make our community a healthier place for your little ones to live and play. Help us take care of your children & win FREE stuff! Just download and scan this QR code (PDF) to take the survey, or scan the image below. For more information about the survey, please contact Patty Willaert, Director of Community Outreach at gro.metsyshtlaehnocaeb@trealliwp. *All information gathered in this survey will be anonymous and confidential. There will be no follow up with families related to any information collected. The survey takes 10-15 minutes to complete, and is open to parents or guardians of children 18 or younger. Available in English or Spanish.